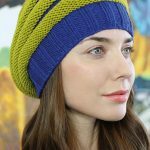 20+ Free Slouchy Hat Knitting Patterns to Download Now! 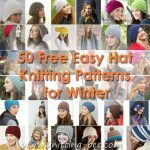 20+ Free Slouchy Hat Knitting Patterns to Download Now! 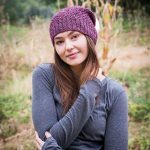 Simple and easy slouch beanie patterns to keep you warm in the cooler months! This hat is a great travel project, and travel companion! It’s simple enough you may find yourself making it over again in another beautiful colorway just for fun. Slouch hat free knitting pattern in stockinette stitch with ribbed stitch edge in variegated yarn. 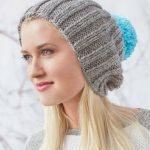 Slouchy beanie knitting pattern circular needles. Add a little sparkle to your winter knits! 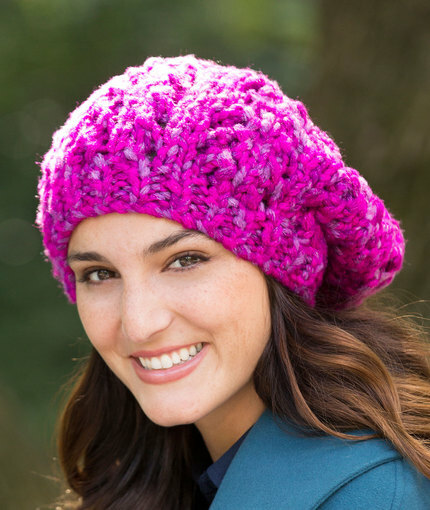 This stylish slouch hat features an allover bramble stitch that highlights the glittery yarn to the fullest. 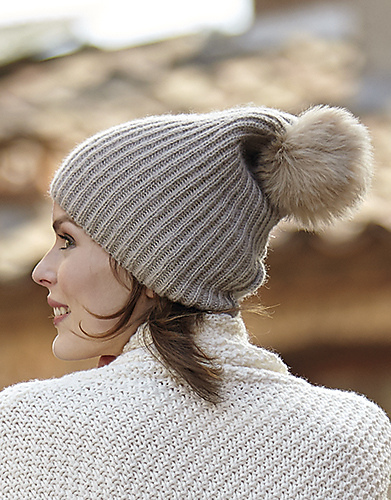 Topped with an extra large pompom, you’ll want to wear this hat whenever there’s a chill in the air. 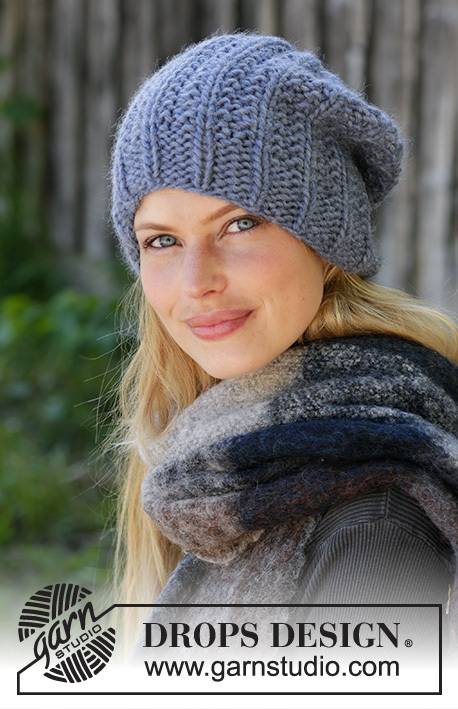 Slouchy hat knitting pattern with DPNs or circular needles. Quick and easy project mixes persimmon with other colors. A one ball project that is perfect for a gift. We included three sizes so that everyone can enjoy the great style of this comfortable hat. Ribbing makes it easy to fit and the chunky weight yarn means it will knit up faster. 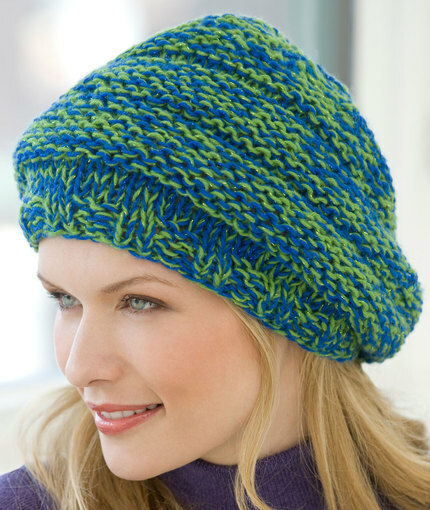 Easy slouchy hat knitting pattern straight needles. How about a trendy beanie for the cold winter days? Slouchy beanie in two colors of contrasting yarn with reverse stockinette stitch bands. Charlotte is a slouchy beret worked in the round with a textured plaid pattern. 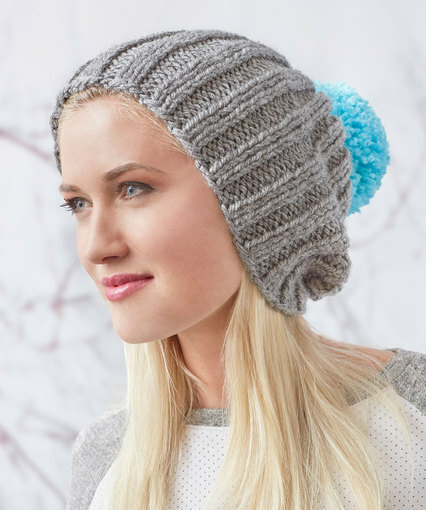 Take a trip with a cable twist hat that sports slouchy comfort and a pompom to finish it off. Choose any color that makes you happy while you knit and wear this clever look. Knit slouchy hat pattern bulky yarn. Rib and lace pattern hat. Slouchy beanie with cables to knit. 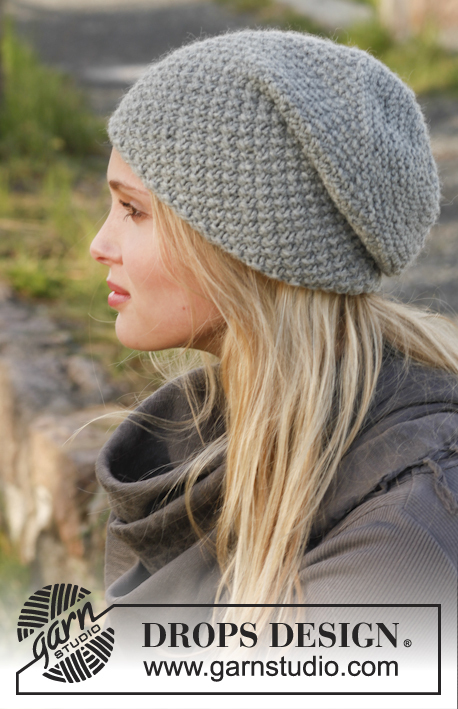 A simple texture and soft yarn are all you need for this classic hat, knitted in Patons Alpaca Blend. Simple slouchy hat knitting pattern. Effortlessly stylish cap available in regular or slouchy fit, for men or women. Knit in Patons Kroy Socks. A little bit slouchly with a pretty eyelet pattern on the top, this week’s pattern is knit in Song. This worsted-weight yarn is incredibly versatile and has excellent stitch definition. Easy slouchy beanie knitting pattern with a rib stitch. 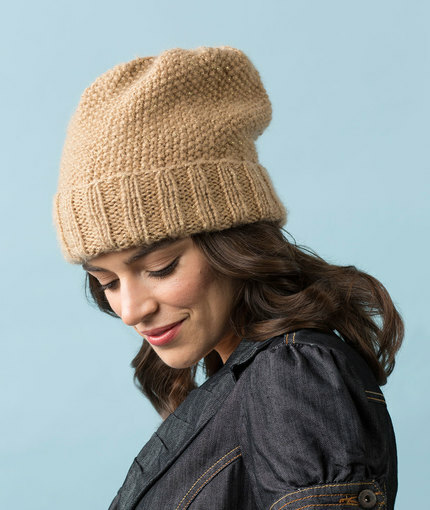 Ribbed slouchy hat to knit! Make a soft and simple hat for those days when your hair won’t cooperate. Mens slouchy beanie knitting pattern. 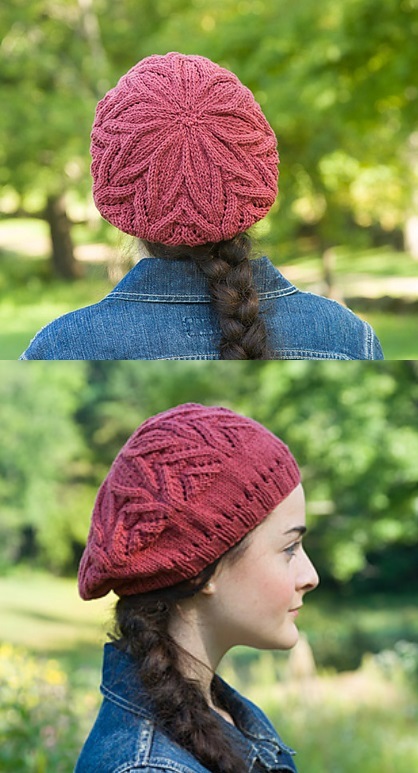 Seed stitch slouchy hat knitting pattern. 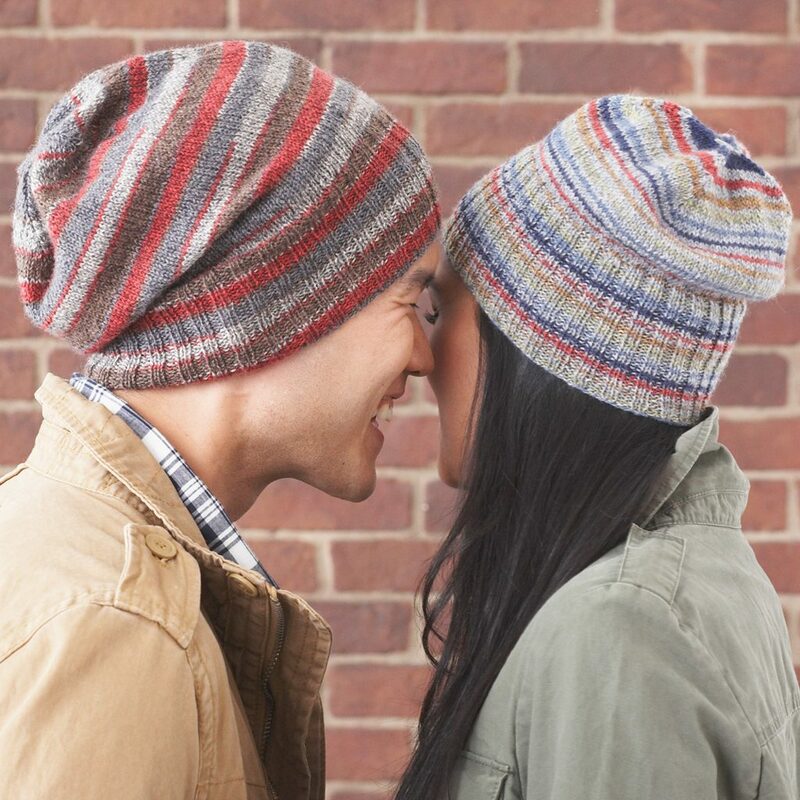 The Seed stitch pattern and deep ribbed banding are comfortable to wear. 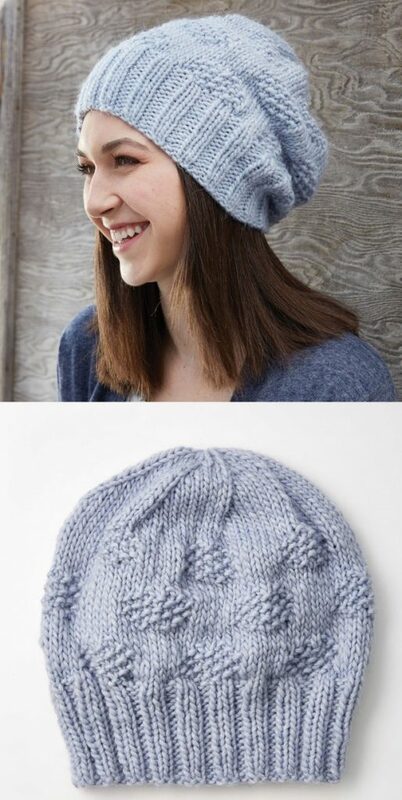 Easy slouchy hat to knit. Support your favorite team while staying warm and comfy! 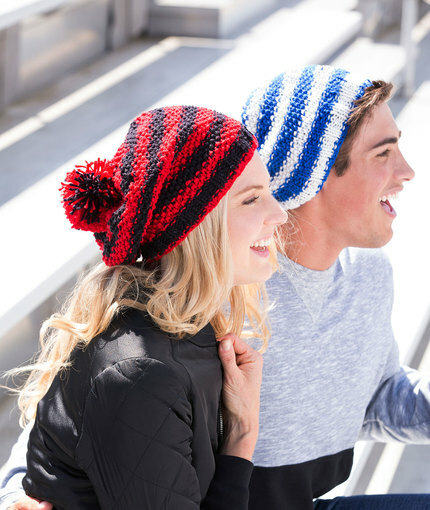 This knit hat features self-striping yarn and an optional sporty pompom on top. Great for the whole cheering section! Easy slouch hat knitting pattern in moss stitch. Slouch hat with textured pattern.